WordPress is a multipurpose web building app, it is a web-based tool, i.e. it resides on the internet. WordPress is dynamic, simple and efficient. 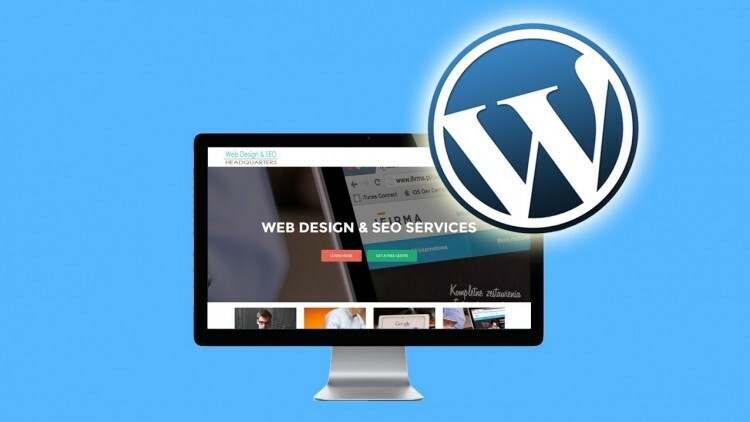 When you need a website quickly, that is professional standard, with little or no budget, WordPress is the best tool you can use to achieve these. Packed with components such as themes and plugins, WordPress provides you with all you need to ensure maximum customization. WordPress is largely supported because it is widely used throughout the world. Any problem or error you might encounter while using WordPress might have been solved by either the WordPress developers or a fellow user like you. To use WordPress, it does not require technical programming or web developing skills, once you understand basic terms and know how you want your website to look like, you are good to go. WordPress has three main components; the core files, the themes and the plugins. The core files are the building block of a WordPress site, they are codes written by highly professional WordPress developers/Programmers, as the name suggests, “core files”, they are not meant to be tampered with, any slight mistake from these files may result in a fatal error. The themes are the layout and color schemes of your WordPress website; they define how elements are positioned, responsiveness across screen resolutions and colors. Plugins are like integrations that give your website more functionality, with plugins you can add features that are not originally programmed into default WordPress websites. Oftentimes, the aspect you need to focus most on is the themes aspect, because people are impressed by what they see, and first impressions always last longer. Captivate visitors on first sight of your website. There are various ways you can get a website theme, you can purchase a pre-designed premium theme, download free themes, or pay a developer to design one for you or design it yourself if you know the codes. There are several online marketplaces for WordPress premium themes on the internet, some have their in-house programmers that design themes for them, while some are just marketers for independent programmers. Many themes you may find on the internet may not be 100% efficient or too expensive. WordPress professionals out there have their theme suppliers where they get cheap yet efficient themes, but they won’t tell you. Now, you can get better themes than what they get, even at a cheaper price or totally free. Theme planet is an online marketplace where you can get a variety of website themes and templates at great prices. Theme planet features the popular HTML5 website templates, Theme Planet does not only provide themes for WordPress alone but also has themes for other web building platforms too, featuring themes for Shopify, Magento, Drupal, and others. Indeed Theme Planet is a planet of themes, from business website to education website, e-commerce website, blog, pleasure, travels and tours, portfolio, group, company, religion etc. any or all, you can always find a template for it on Theme Planet website. Which Archiver Compresses Files Better?